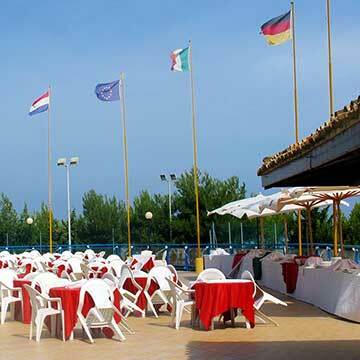 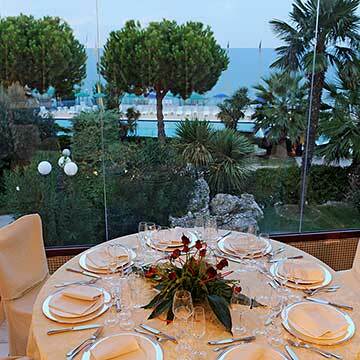 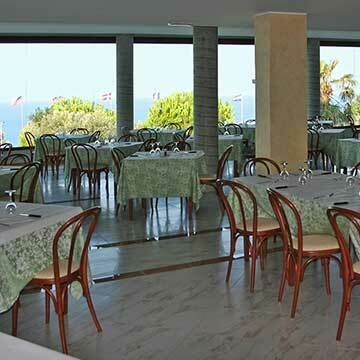 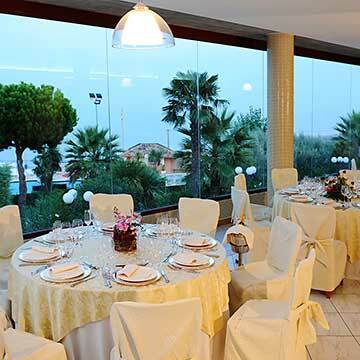 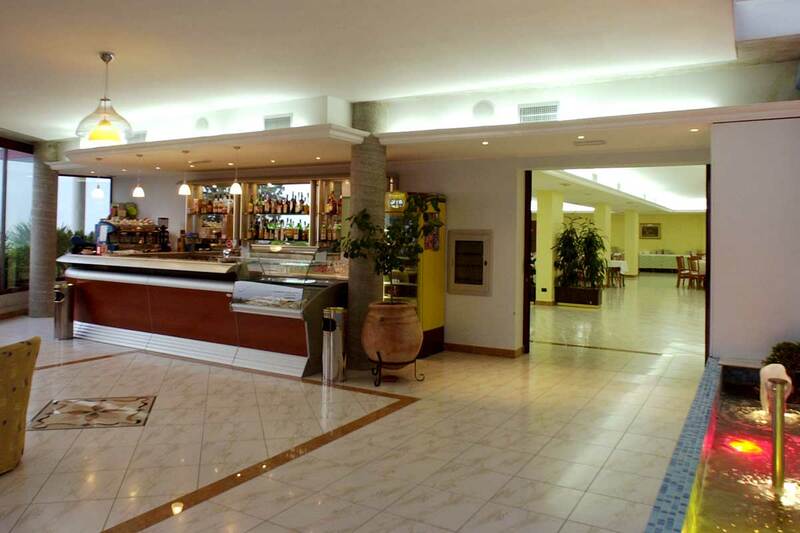 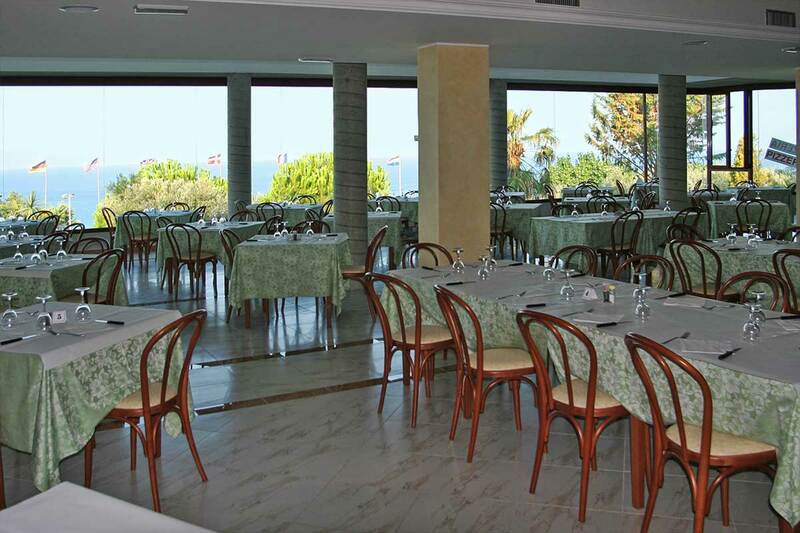 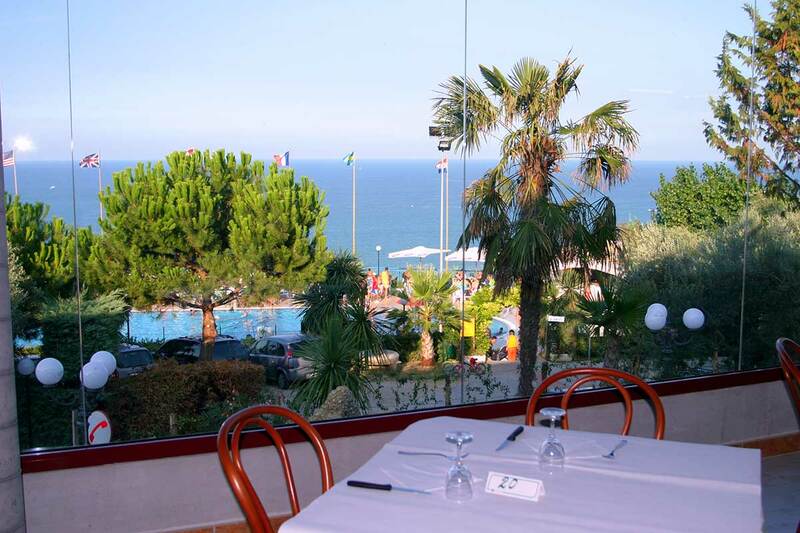 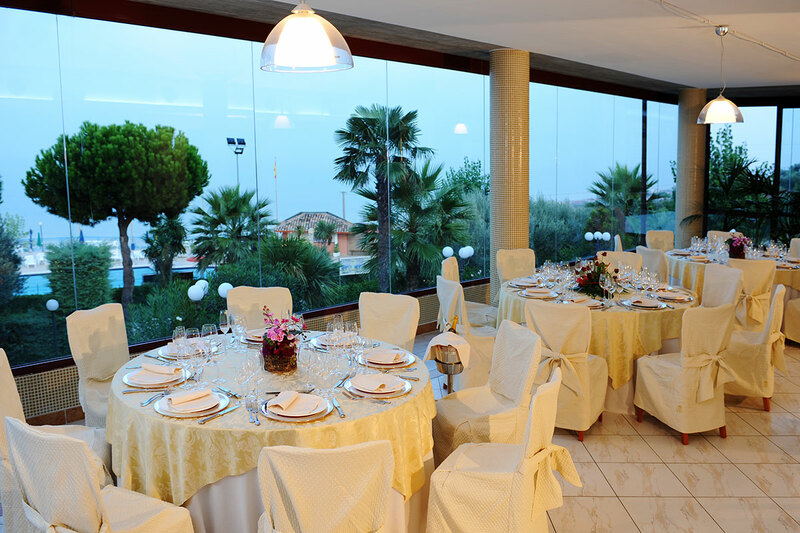 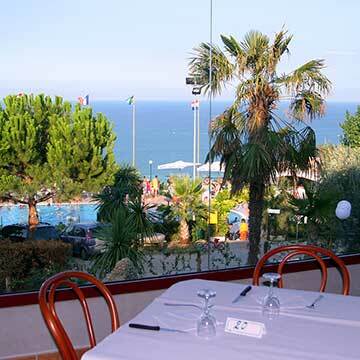 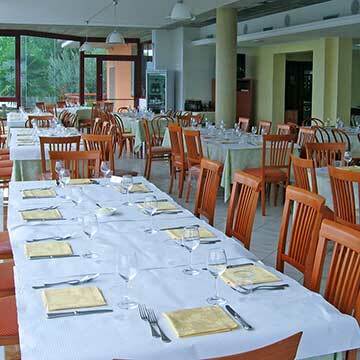 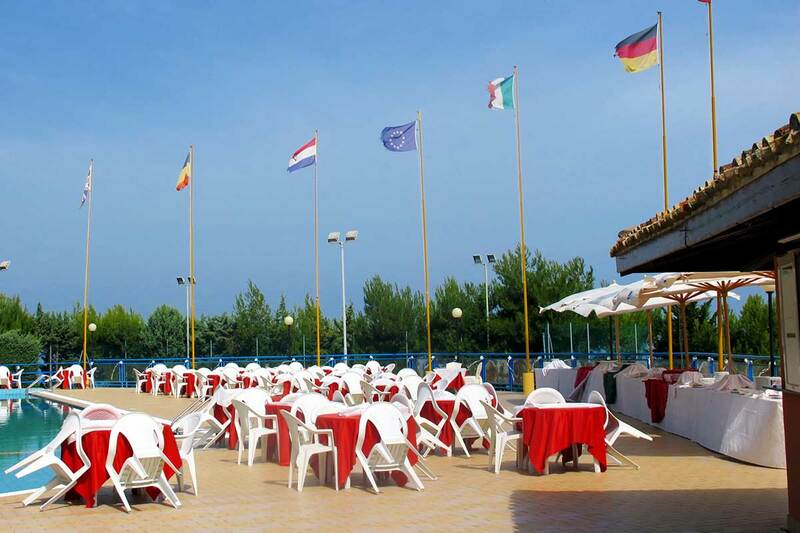 Every day you will be received in a spacious, sunny and air-conditioned environment with a stupendous view of the sea. 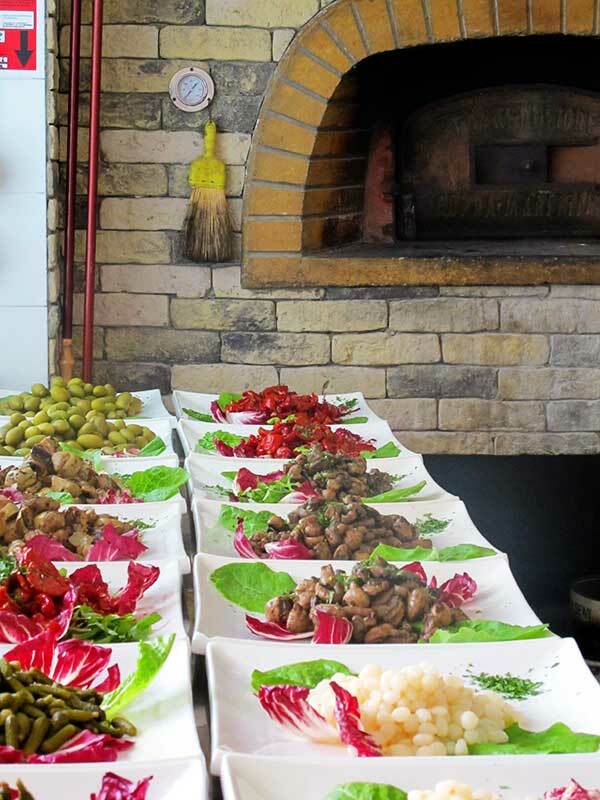 Our chefs will be happy to spoil you every day with refined dishes of typical Teramo cooking prepared according to tradition with genuine local products. 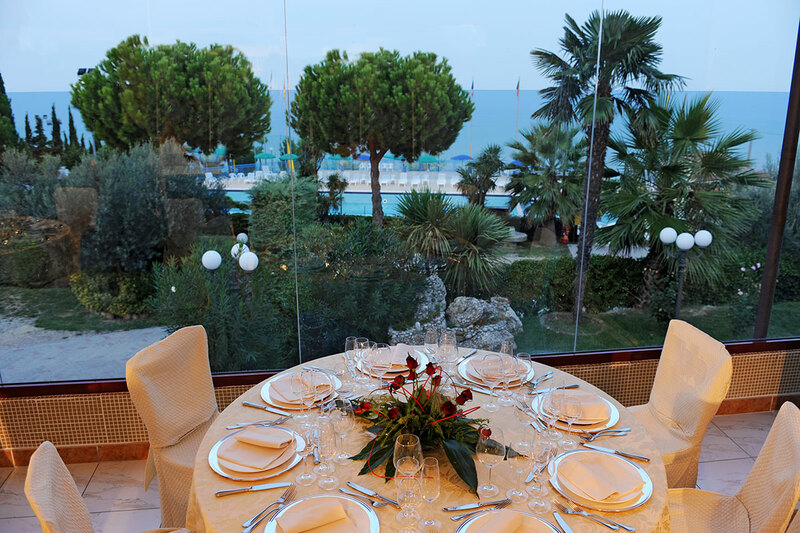 In particular, you can enjoy typical dishes based upon meat or fish: timbale, barbecued lamb, small roasts, fish broth, linguine alla scoglio and many others. 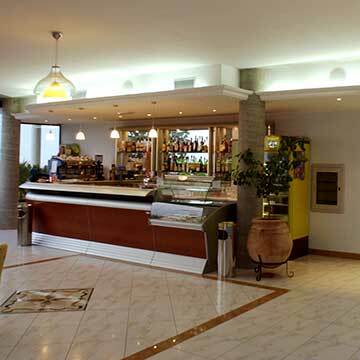 Also the wines are carefully selected: the regional DOC wines such as the classic Montepulciano D’Abruzzo, the Trebbiano D’Abruzzo and the Cerasuolo. 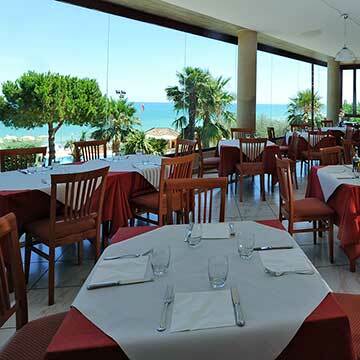 There is also the pizzeria with focacce (flat bread) cooked in wood-fired, brick-built oven. 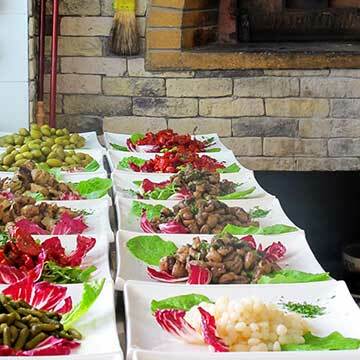 All of these things can be enjoyed in the very new restaurant that has more than 300 places and a well-equipped and modern kitchen to satisfy the most demanding palates. 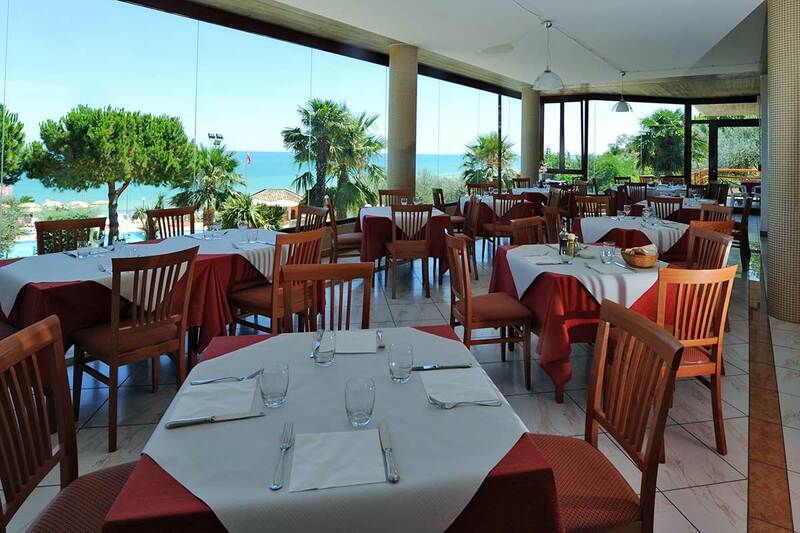 Whoever wants to can make use of the take-away service from the pizzeria or the restaurant and can enjoy the dishes prepared by our equipe of chefs and professional cooks in the peace and quiet of their bungalow or small villa. 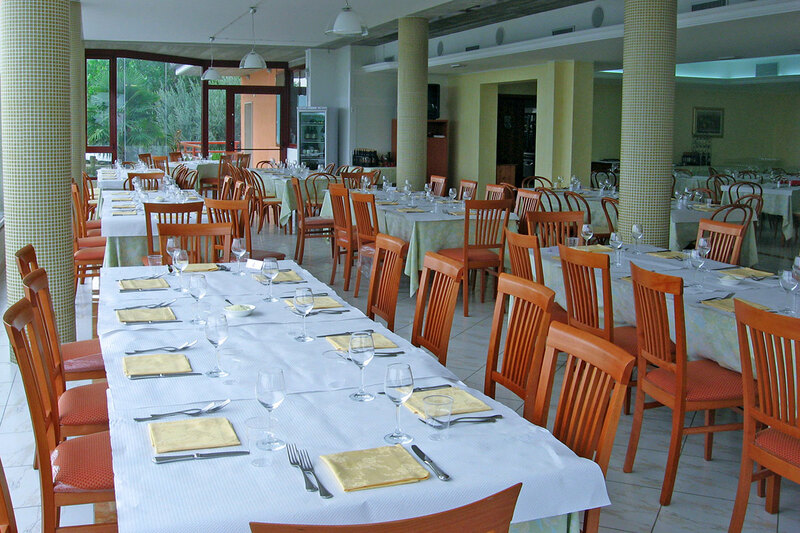 For those who want to cook making use of the kitchen area available in all our accommodation, then Villaggio Europe Garden’s minimarket is available to guests with a large variety of fresh and packed products, such as the extra-virgin oil obtained from the olive trees of the village and the DOC wines selected directly by the management.